Preventive maintenance is really nothing more than common sense maintenance. If you’re going to take a thousand mile trip in your automobile common sense tells us at a minimum to check all of the fluid levels, the tires and lights on the vehicle. Unfortunately lots of folks assume all of the fluid levels are okay, and the tires look like they are inflated properly so why check them. These assumptions are why we have unexpected breakdowns. If your RV was winterized it will need to be de-winterized. 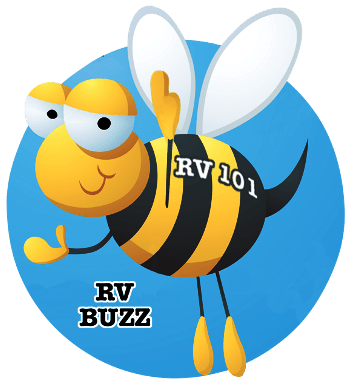 If you used non-toxic RV antifreeze to protect the water system you need to run fresh water through the entire system until all traces of the antifreeze are removed. Hopefully no antifreeze was added to the fresh water holding tank. If it was, the first step is to drain any remnants from the tank. Add potable water to the fresh water holding tank, turn the water pump on and open all of the water faucets. When clear water is running through the system turn the pump off and close the faucets. Take the water heater out of the by-pass mode (if applicable). If the water heater wasn’t bypassed the antifreeze needs to be drained from the water heater tank. With the water system sanitized turn the water pump on to pressurize the system and inspect the plumbing for any water leaks. Check the operation of the toilet. Remove any protective covering that were put over exterior vents to keep insects or rodents out. Check any mousetraps you put in the RV. Open all the doors, drawers and compartments and check for rodent intrusion. Inspect the tires for signs of wear and any cracking in the sidewalls. If there are cracks in the tire sidewalls have the tires inspected by a professional prior to using the RV. Tires lose a percentage of air pressure sitting in storage. Your RV tires can lose 2-3 psi a month, this means they could be dangerously low on air pressure. Check the tire pressure in all tires with a good tire inflation gauge and adjust the inflation pressure to the manufacturer’s recommendation based on the load. Don’t forget the spare tire! Remember, failing to maintain correct tire pressure based on the load can result in fast tread wear, uneven wear, poor handling, and excessive heat build-up which can lead to tire failure. Tire manufacturers publish load and inflation tables that should be followed for proper inflation pressure. Lubricate all hinges and locks with a spray lubricant. Use a dry graphite type lubricant that does not attract dust and dirt. Inspect and clean the RV’s interior. Plug any appliances in that you unplugged for storage. Test the operation of the carbon monoxide detector, LP gas leak detector and smoke alarm. 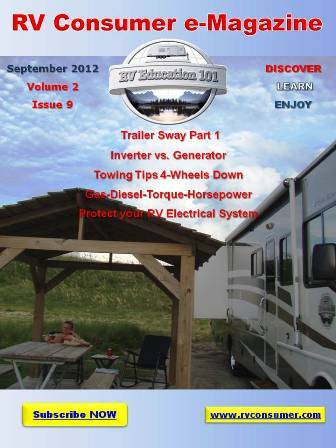 When your RV sits in storage it’s quite common for dry cell batteries in safety devices to die. Replace the batteries in all safety devices and test the operation of the carbon monoxide detector, the LP gas leak detector and the smoke alarm. Lots of RV owners are not aware that safety devices in RVs have expiration dates. I recommend you write the expiration date on the front cover so you remember to replace it when it reaches the expiration date. Inspect all fire extinguishers to make sure they are fully charged. If you have a dry chemical fire extinguisher turn it upside down and tap the bottom several times to release any powder that settled to the bottom. Review how to properly use a fire extinguisher in the event you need to use it. Reset any breakers that were turned off. If you removed any fuses for storage re-install them now. Clean or replace air conditioner filters if it wasn’t done prior to storage and remove any covers that were put over the rooftop air conditioners. Open vents and windows and air the unit out. Inspect the RV batteries. The condition of your batteries depends on how well they were cared for when they were in storage. If the battery was removed for storage reinstall the battery and make sure it is connected properly. Clean the terminals and clamps. A battery in storage can lose up to 10% of its charge every month. If you checked and re-charged the battery periodically during storage the battery should be ready to go. If you did not check the battery while in storage check the state-of-charge now and re-charge as required. Note: Water should only be added to lead acid batteries after fully charging the battery, unless the water level is already below the plates. The plates need to be covered at all times. After the battery is fully charged check and add distilled water as required. If you are not comfortable working on or around batteries have the battery maintenance done by a qualified service facility. Check the operation of the steps. Lubricate the step hinge points. Watch our RV lubrication video. Test the operation of the hydraulic jacks if applicable. Check hydraulic fluid level. Turn the generator off and plug the unit into shore power. Turn the refrigerator on in the electric mode. Allow sufficient time for it to cool and check for proper operation. Check all 12-volt interior lights and accessories. Test the monitor panel for proper operation. Check the operation of slide-outs if applicable. Check the remaining 120-volt appliances for proper operation. Test the Ground Fault Circuit Interrupter (GFCI) for proper operation. Turn the refrigerator off, leave the doors open and allow sufficient time for it to get to room temperature so it can be checked in the LP gas mode. Note: The LP gas system should have a leak and gas operating pressure test performed by an authorized RV repair facility annually. Turn the LP gas valve on at the cylinders or tank and check the operation of all LP gas appliances. Make sure the water heater is full of water before testing the water heater. If an LP gas appliance is not operating properly have it inspected by a RV repair facility. If it is a motorized RV and you didn’t change the engine oil and filter prior to storage this would be a good time to do it. Check all fluid levels in the transmission, power steering, engine coolant, engine oil, windshield washer and brakes. Consult the vehicle owner’s manual for proper levels and types of fluids. Start the engine and check for proper readings on all gauges. Check the condition of the windshield wiper blades and replace if necessary. Check the operation of all lights. This checklist is not all-inclusive, but it’s a good start. You can add or delete from the checks on this list and tailor it to your specific needs. Now for the fun part, load your clothes, food, and personal belongings, hit the road and have fun exploring this wonderful country we live in.